NW quadrant of the intersection of a six-lane portion of State Road 80 and two-lane State Road 31 in Lee County, approximately two miles east of I-75. 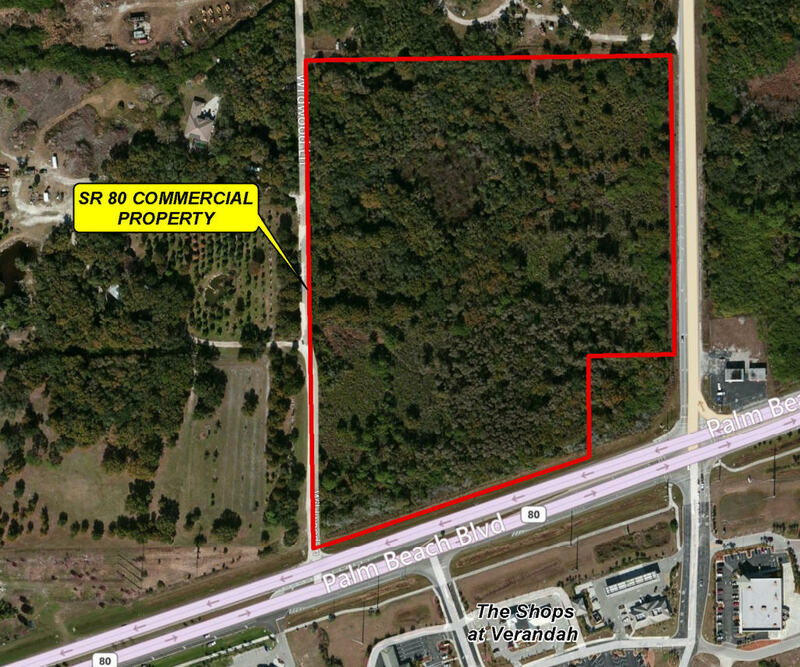 It has approximately 778 feet of frontage on SR 80 and 800 feet on SR 31, suitable for retail and office uses. Commercial Planned Development (CPD), allowing 200,000 square feet of commercial uses; some may be allocated to out-parcel locations. 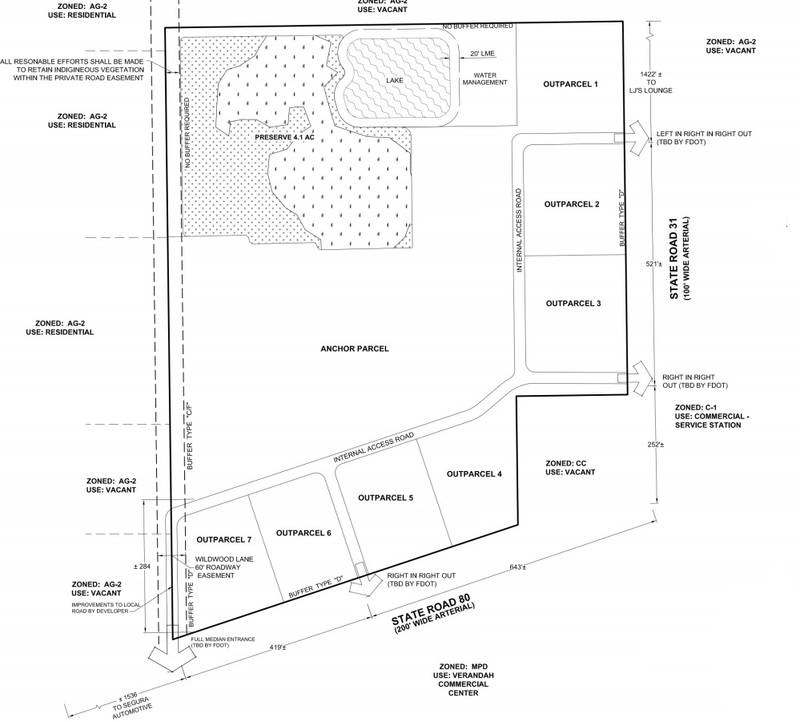 An Environmental Resource Permit has been completed for this parcel through the South Florida Water Management District and a Permit has been obtained from ACOE.